Liz Stern is a Global Legacy Leader, Advisor, Coach & Speaker, and the founder of Global Giving Advisors, a philanthropic consulting firm. 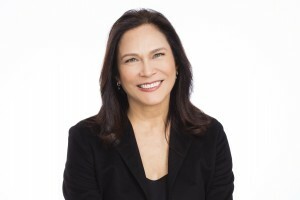 As an advisor and coach to individuals, families, foundations, and corporations since 2007, she has helped her clients determine their legacy in order to live even more fulfilling lives and address the economic, social, and humanitarian challenges we face today as well as driving social impact and global change. Ms. Stern also currently serves as the Advisory Board Chair of the Arnhold Global Health Institute at Mount Sinai and as Vice President of Kageno Worldwide. She has embarked on various humanitarian missions with the Arnhold Global Health Institute at Mount Sinai, Partners in Health, and Kageno Worldwide in Africa, in the Caribbean and in the Americas. Ms. Stern has traveled to over 90 countries and applies all that she has learned to her work with clients globally. Ms. Stern has previously worked an investment banker and has advised companies on business strategy and financial management. She received her B.A. from Pomona College and her MBA from the Anderson School at UCLA. In addition to being an avid traveler, she is a history and culture buff, art lover, and runner. Ms. Stern resides in New York City with her two daughters.